Traveling on a bicycle can be extremely beneficial to ones health and environment, but can be exceptionally dangerous, particularly in a busy city filled with anxious, and often careless drivers such as Atlanta. Drivers are multitasking constantly, and with so many other tasks to complete, looking out for bikers and pedestrians while driving is often neglected. A bicyclist is allowed to operate in the middle of the traffic lane if the bicycle lane is obstructed or if the road is too narrow to provide a specific bike lane. The Georgia Drivers manual states, “The law requires a driver to allow at least three feet between the driver and bicyclist wh en passing.” Often this is when most bike accidents happen, some very avoidable. Over this past Memorial Day weekend, a 14 year old boy was killed in a bicycle accident in DeKalb County. While traveling east on Casey Cove Road, the boy crossed the center line and struck the front of an oncoming Honda CRV, headed westbound. The collision knocked him from his bike to ground where he was struck by an F-150 Pick up truck, also headed westbound. The boy was taken to Dekalb Community Hospital where he later died of brain injuries. The boy was a football player and just graduated the 8th grade, soon headed to high school. This young man didn’t even outlive his maternal great grandmother, a reminder that any of our lives can be taken whilst still unfulfilled, and at a moments notice. 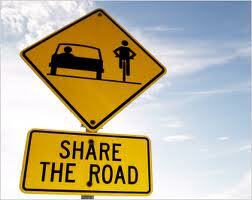 Simple precautions when riding a bike may prevent the chance of an accident. While many accidents are out of the hands of the bicyclist, it is important to prevent the ones you can, but prepare for the ones you can’t. Robin Frazer Clark has handled many bicycle-car collision cases similar to this one, and fights to obtain justice for those whose lives have been significantly altered by the carelessness of others.